We have the perfect souvenir to show off your visit to our wonderful island or to bring back to your best friends. 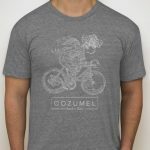 Rent a Bike Cozumel T-shirts and Jerseys with gender specific cuts to fit men or women of all sizes. We also have a nice trucker style hat with our logo. 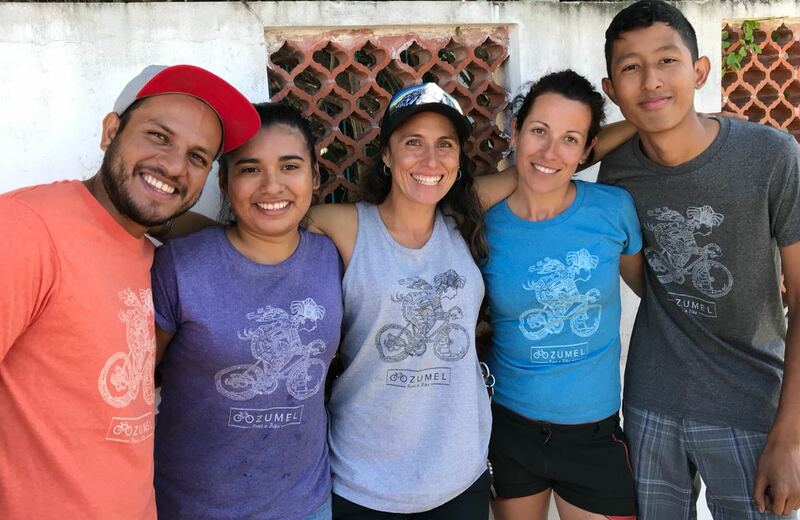 And, for those of you that like to ride in style, we just added an amazing cycling jersey featuring also our partner brands Punta Sur Divers and Books del Sur. Check them out and don’t forget to ask our delivery person to show you the different options available. For the T-shirts we normally have stock at hand in sizes Small to XL both for men and women. We also can do special requests. 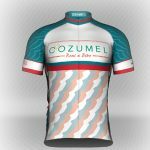 The jerseys we only have a limited stock at hand but can deliver in the US to your doorstep.